Mussels are a delicious, easy, relatively affordable way to enjoy shellfish. Almost all mussels sold in the U.S. are cultivated. "Farmed" shellfish, unlike many kinds of farmed fish, are largely sustainable and can even be environmentally helpful, since shellfish filter water. Mussels are farmed in natural bodies of water and feed by filtering that water. Cultivated mussels have the added benefit of rarely having pesky beards to pull out. No matter what kind of mussels you buy, look for tightly closed mussels (or ones that close after you tap on their shells); they should feel heavy for their size, too. Store mussels loosely wrapped (so they can breathe) in the fridge; we like to buy and cook mussels the same day, but you certainly can keep them for a day before cooking. Most shellfish have a season, and mussels are no different. Luckily, several types of mussels are cultivated in the U.S. (see below), so one type or another is in season year-round. Mussels can also be steamed in salty water, and then served warm or cold topped with salsa or other relishes. Mussels are most often steamed. 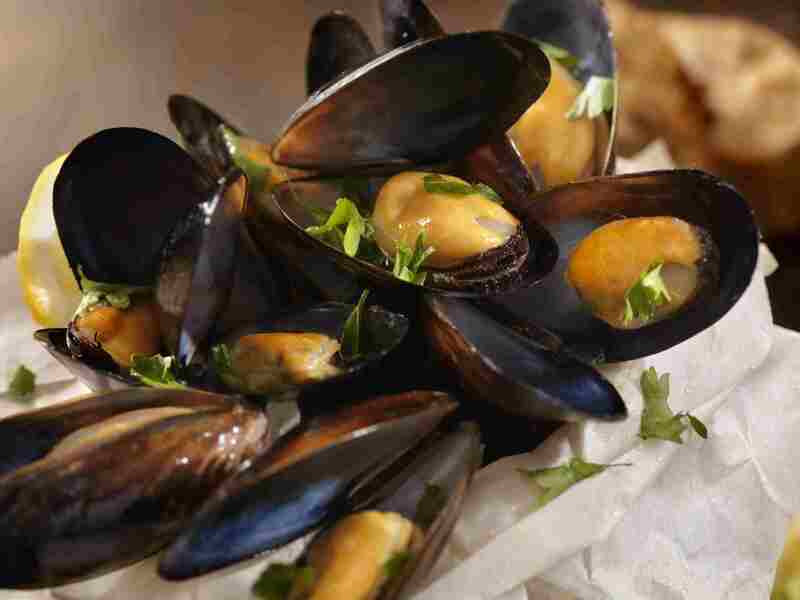 Mussels can also be simmered (as in a soup) or steamed open and then added to pasta dishes. Mussels are lean and can dry out quickly, which is why "wet" cooking methods like steaming and simmering are so often used. Mussels can, however, be pan-roasted or grilled to great effect. To pan-roast mussels: Heat a cast-iron skillet over high heat until very hot. Add mussels, sprinkle with salt (and pepper, if you like) and cook, stirring now and again, until the mussels open. Use tongs to remove mussels as they open to avoid over-cooking them. To grill mussels: Heat a grill to hot. Put mussels on the cooking grate and cook until they open. There are several types of mussels available at fish markets, depending on your area of the country and the season. While they vary and size and season, they can be used interchangeably (although adjusting numbers per serving based on their size) in most recipes. Mediterranean mussels have wide shells and very plump meat. They are in season during the summer and fall. Blue (a.k.a. Edible) mussels are in season winter and spring. They are smaller that Mediterranean mussels, but prized for their intense flavor. Green-lip mussels have a green tinge to the edge of their shells. They tend to be very large and are cultivated extensively in New Zealand. Mussels are low in fat, high in protein, very good sources of vitamin B12, iron, phosphrous, magnese, and good sources of vitamin C, folate, potassium, and zinc. In short, there are a lot of reasons to dig in!